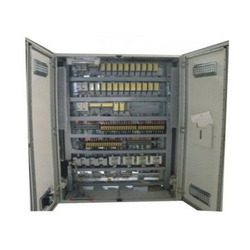 We are engaged in offering high-quality PLC Programming Service. The offered services are rendered by our team of experienced highly qualified & trained professionals utilizing high-quality raw material and highly advance & latest technology keeping in mind international standards. We are offeringProgrammingServices for PLC Programming, HMI programming, SCADA Programming, DCS Programming, VFD Programming, Servo Programming. We are engaged in offering high quality SCADA Programming Service. The offered services are rendered by our team of experienced highly qualified & trained professionals utilizing high quality raw material and highly advance & latest technology keeping in mind international standards. We have a team of experienced engineers from different industries to provide SCADA Programming for new system installations, upgrades to existing controls and complete industrial retrofits. We are offering Programming Services for PLC Programming, HMI programming, SCADA Programming, DCS Programming, VFD Programming, Servo Programming. We are having team of experienced highly qualified & trained professionals for PLC programming work for different industries. Our services are rendered after understanding the precise requirement of client in order to offer perfect solution. Outfitted with a modern infrastructure, we are engaged in offering a wide range of latest and advanced PLC/SCADA Systems. These systems are highly used in numerous industries for the computerize and accurate control of various parameters. Easy to install, these systems are highly compatible with computers and very high on performance. Tested against various quality parameters, these systems are offered to our clients at market leading prices.